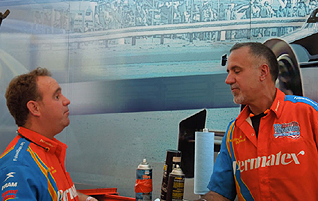 Permatex is a leading manufacturer, distributor and marketer of premium products to the auto maintenance and repair, home and hardware markets. The first professional grade mechanic’s laundry detergent with a built in pretreater specifically formulated to remove up to 99% of automotive stains and odors. Manufacturer of specialty cleaning products for industrial, automotive, aviation, commercial and household needs featuring all purpose cleaners and degreasers. Need help getting the job done right? Our new product selector will help you find the right product for the job. Follow A Dream Race Team is a remarkable story in itself, and winning at the national level is only part of it. Follow A Dream's owner and crew chief, Jay lost his eyesight in a tire explosion in 1997, but he did not lose his positive attitude on life, nor his desire to pursue his dreams. Jay had always wanted to form his own race team, and in spite of his serious setback, he continued to focus on his goals. Through years of incredible determination and perseverance, he was able to realize his dream and founded Follow A Dream Racing. 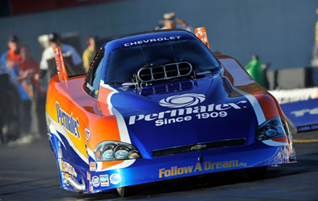 Since then, the team has worked its way up the rankings to become one of the top Funny Car teams in the world. 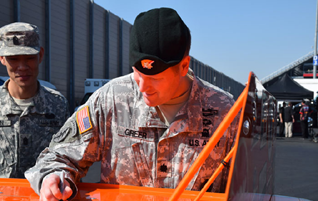 Turning his dream into a reality, Jay combined his participation in drag racing with his desire to spread his true-life success by inspiring others to accomplish their goals through the Power of Positive Thinking, Self-Determination, and Teamwork. Jay tours the country giving his “5 Tools for Life Success” motivational presentation at schools, corporate events, military bases, as well as promotional and charitable events. Error: Error validating access token: Session has expired on Friday, 05-Apr-19 07:31:50 PDT. The current time is Friday, 26-Apr-19 00:56:16 PDT.